Nokia may be releasing a 12-megapixel, 720p-shooting smartphone very soon—the N8-00. 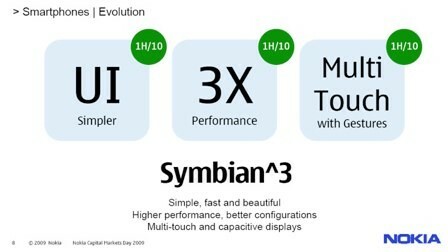 The Nokia N8-00 is also the first phone of the company’s new batch to sport the Symbian^3 mobile operating system. According to Gizmodo, the new N8-00 unveiling speculation arose when French site Tom’s Guide reported a bounty of information on the new Nokia smartphone lineup. Tom’s Guide claims that the N8-00 will be Nokia’s biggest release and launching this summer. The site also claims that the N8-00 will have a fully touch sensitive and multitouch, 3.5” display, and will also sport some sort of Web TV action. The new Nokia C5-00 will be a basic business device with GPS and is expected June.The new Nokia C3-00 will be a low-cost multitasking Symbian S40 device with a Qwerty, and it runs emails in the background. Also the new Nokia C5-01 will be a Qwerty device that the site says will be a direct competitor to Blackberry.